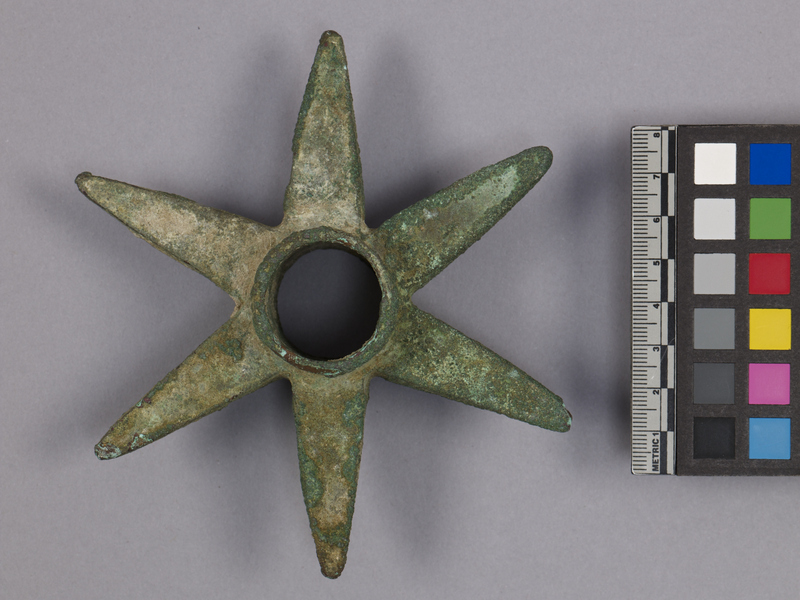 Item number 2990/786 from the MOA: University of British Columbia. Mace head. 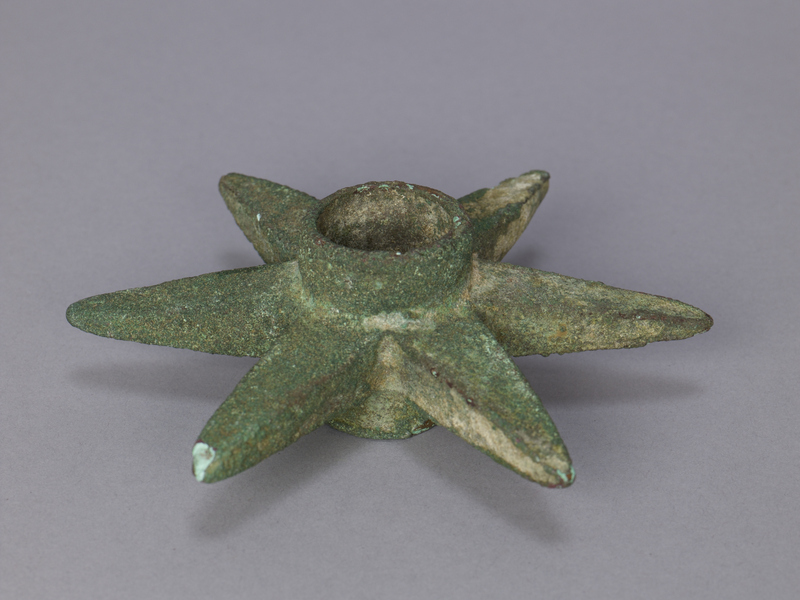 Perforated star mace made of bronze. Body has five chisel points and hole in the centre with rounded rim. Corroded but complete. Originally would have been attached to a shaft of wood or “chaska chuqui” (Quechua).